Hi. I'm Armen Mkrtchyan. I am software developer and IT blogger from Armenia. I have written many programs, websites and games for non-commercial and commercial purpose. 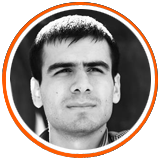 I am the founder of Armblog.net IT blog, which is one of the most visited blogs in Armenia.The Armblog.net website is mostly about IT sphere.